Clare Colvin is a novelist, short story writer and critic. 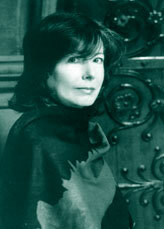 She is the author of three novels: The Fatal Season, Masque of the Gonzagas and The Mirror Makers. Her short stories have been published in a number of anthologies, with her latest in the Serpent’s Tail anthology, Getting Even. She works as a literary critic for the Daily Mail and the Independent, and has been a theatre critic for The Times. She is currently opera critic for the Sunday Express. She has taught creative writing at Richmond Adult Community College, Goldsmiths College and at Birkbeck, University of London.